There are items covering and blocking the two saying plazas at Alcatraz and Adeline NE corner. Dumped food rotting in the sun. Garbage all over. The man living in the second tent on the strip of Hearst Avenue adjacent to the Ohlone Murals and playgrounds just defecated openly in the park. Please send an email to the mayor, the council members, and the city manager. I’m doing so now. It’s inportant to hear from multiple people. 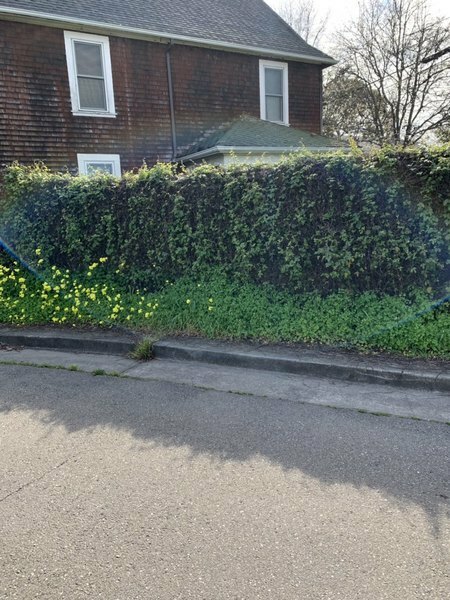 There is a pile of garbage, a mattress, and odd assorted items dumped on Bonita Avenue where it intersects with Hearst, across from the North Berkeley Senior Center and just on the other side of the Totland fence. Rats have been seen scurrying from this pile and there may be someone living inside the debris. This constitutes the 3rd pile of stuff and a tent on that corner and looks like the beginnings of a semi-permanent encampment. This pile is just a few feet away from the play area in the Totland where young children go to play and enjoy the park. The City's failure to remove the other 2 illegal dumpings (a huge pile of stuff and a tent) in that same area that have been repeatedly reported, has clearly emboldened others to use that area as a dumping/camping ground. Has the City decided to make upper Ohlone Park a tacitly approved encampment? Why is this being allowed to persist? This has just relocated around the corner and now exists on Hearst Avenue, across from 1932 Hearst. Please re-open and really deal with it! Hello: there is a caved-in storm drain just south of Menlo College's entrance on El Camino Real, Menlo Park. Needs better signs/cones. What is an analytical paper? Are there any research centers at Berkeley where you can do an internship to write such articles?